Here's how: If you are not in the Chicagoland area then get online and find yourself some hard working, making jobs for themselves, direct sales reps for awesome and unique gifts! 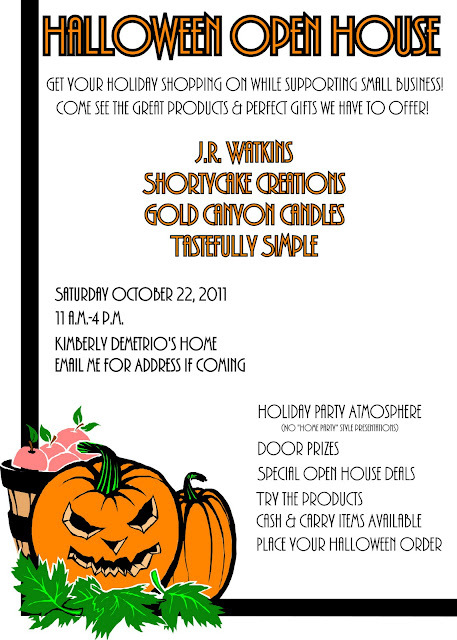 If you are in the Chi-town area then come to my vendor Halloween Open House on October 22 from 11-4. Take a peak at what seasonal, limited time only products these awesome vendors have to offer as well as cash & carry products & gifts available. 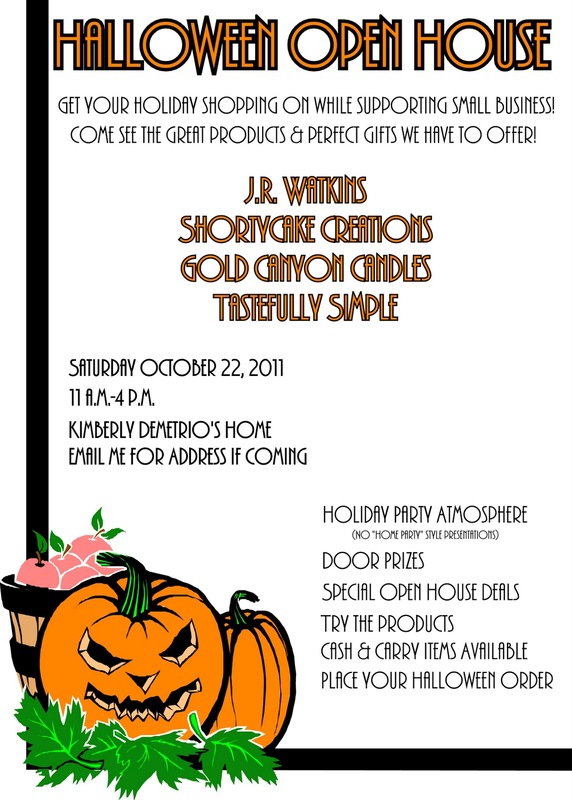 JR Watkins, Shortycake Creations, Tastefully Simple, and Gold Canyon Candles will be in the house! Yes, it's a KimD party so there will be door prizes,decorations, laughter, and libations! Can't wait to see you!